Jon started at 4th Bramhall as a Cub, he worked his way through all the sections and when he turned 18 he became a leader, now he is the GSL. Jon is responsible for looking after the adults in the group, making sure they have everything the need to carry out there role’s. Jon enjoys the outdoors, walking, climbing or just sitting round a camp fire, he is also enjoys a spot of DIY when he has the time. 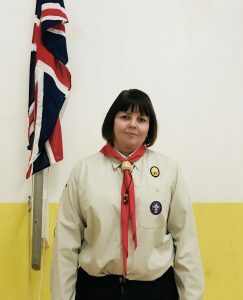 Vicki is a Beaver Leader at 4th Bramhall Scout Group and has been with the group since 2012. 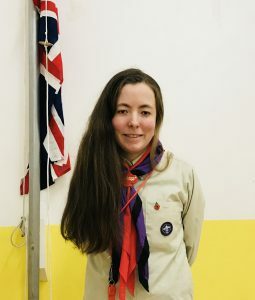 She has a Scouting background from previously being in Brownies, Guides and Ventures. At 4th Bramhall, Vicki helps run the Beavers Section and her scouting name is “Puffin”. She has previously been a Cub Leader with the group for 5 years (where she was called Raksha). Vicki loves arts, crafts and cooking. She also loves her family, spending time with them and friends. I moved from St Michael’s Guides to Sabre Explorer Scout Unit at the age of 14, when I turned 18 I moved away to work in the outdoor pursuits industry for 2 years. When I returned home I started to volunteer at 4th Bramhall Scout Group. I enjoy spending time in the outdoors. I completed all three stages of the Duke of Edinburgh’s Award during my time in Sabre, thanks to all the different activity’s Sabre did this has now inspired me to inspire more young people. Max is a keen bushcrafter and has written articles for “The Bushcraft Journal” magazine and has helped train other leaders in bushcraft and navigation skills. Andy joined the group over 12 years ago. Having initially been roped in to help with Cubs (albeit a little reluctantly), he discovered that he actually really enjoyed it all and ended up as Cub Scout Leader for one of the packs for several years!! He then moved on to the Scout Troop as a Scout Leader. He enjoys the outdoor activities the most, whether camps, hikes or burning sausages on fires. Outside of Scouts, Andy attempts to keep the advancing years at bay with various regular gym sessions and classes, and running, and then undoes all the good work by enjoying good food and drink with family and friends. 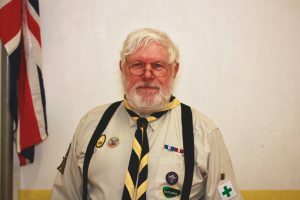 After spending his youth in Cubs, Scouts and Venture Scouts (the previous name of the Explorers) in my home town of Leicester, Mike started back into Scouting when his son started in the Cub Scouts at 4th Bramhall. 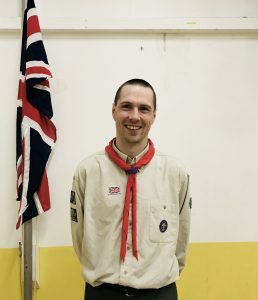 After volunteering a few times on evenings and a camp or two, he found that he really enjoyed being back in Scouting and agreed to go “back behind the badge” a couple of years ago as an Assistant Scout Leader. 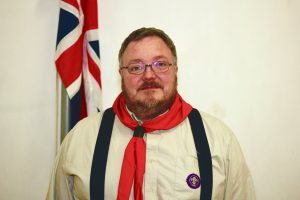 Outside Scouts, Mike assists at a local youth football club, plays the Ukulele badly, and you might find him at the odd pub quiz and parkrun (not at the same time). Mike helps to run the Duke of Edinburgh bronze and silver sessions and expeditions along side Sabre Explorer Scout Unit. He joined the Scouts at the end of 2016 having spent ten years volunteering with the Stockport Council open D of E award centre. He is also a Duke of Edinburgh supervisor and assessor as well as qualified summer mountain leader and rock climbing supervisor. He enjoys mountain walking/scrambling, cycling, photography and days out with the family. 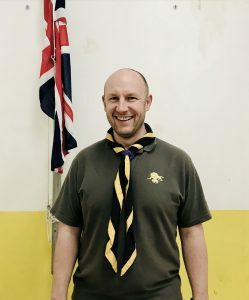 Damian has been involved with 4th Bramhall Scout group ever since he first joined as a cub many (many) years ago and has been around in various roles on and off ever since as work and home life has allowed. 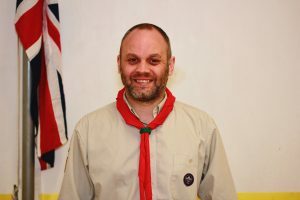 Damian has helped look after the Explorer Scout unit attached to 4th Bramhall (Sabre ESU) since 2004 and enjoys the more outdoors side of scouting, leading the various summer camps the Explorers go on including trips abroad to Jersey and Switzerland. Scouting life has come full circle, with both of Damian’s daughters currently in the Wolf Scout troop at 4th Bramhall. Steve Davies became involved with the Sabre Explorers Unit in June 2016. He is involved in running the Duke of Edinburgh’s Award for the unit. 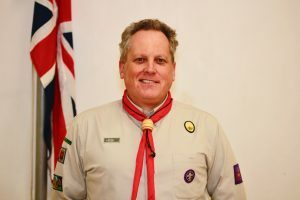 Prior to joining in 2016, Steve has had no association with Scouting. As a young man he was a member of The Boys’ Brigade in London. Calum is the Interim Minister at St. Michael and All Angel’s Parish Church. 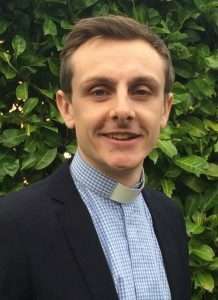 He was ordained in 2014 and was a minister on the Wirral until 2017. In his spare time Calum enjoys walking, photography and touring the UK with his wife Jess. As a foundation trustee Calum is passionate about ensuring every member of 4th Bramhall has the opportunity to experience everything the scouting movement has to offer in order that they might have the opportunity to experience new things and learn more about themselves and who they are.